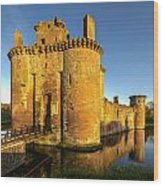 Caerlaverock Castle - 2 by Paul Cannon - 10.000" x 6.625"
Caerlaverock Castle - 2 acrylic print by Paul Cannon. Bring your artwork to life with the stylish lines and added depth of an acrylic print. Your image gets printed directly onto the back of a 1/4" thick sheet of clear acrylic. The high gloss of the acrylic sheet complements the rich colors of any image to produce stunning results. Two different mounting options are available, see below. Caerlaverock Castle near Dumfries Scotland is a moated triangular castle first built in the 13th century. 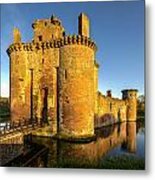 The castle was a stronghold for the Maxwell family for about 400 years. 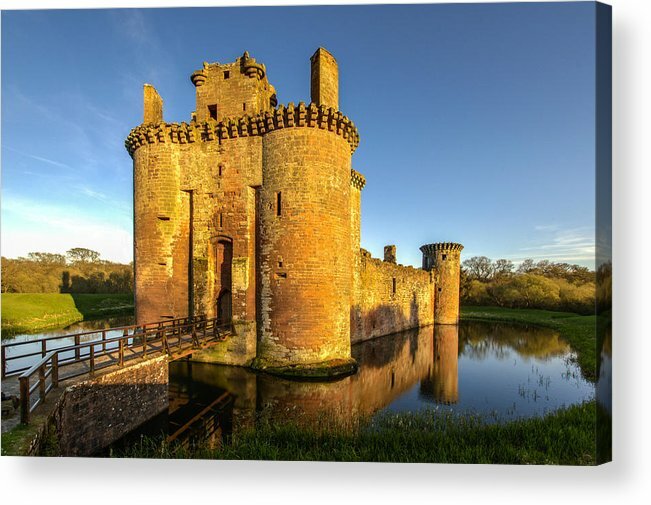 The castle is on the edge of Caerlaverock National Nature Reserve, which is 21 square miles and consists of salt marsh, mudflats, and grazing land.